Fear not football fans, Euro 2016 is fast approaching. After twiddling their thumbs through a tournament-less 2015, aficionados of the beautiful game will get their fix as the elite of Europe battle it out in France to determine who can claim bragging rights for the next four years. Spain currently hold that right, after demolishing Italy 4-0 in the final in 2012, but their team has undergone some changes there, and there is sure to be stiff opposition with Germany, Italy, and the hosts France all sure to fancy their chances. Regardless of who lifts the trophy, spectators are in for a sporting treat, and what better way to spice up the matches further than by having a bet. Euro 2016 is great for punters, as bookmakers compete for business, old and new, by offering sign up bonuses, promotions, cash back offers and more. Below are just a few of the great deals bettors can obtain. 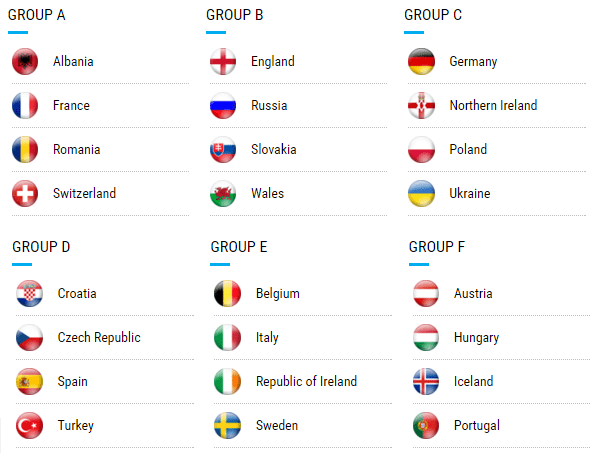 Unsurprisingly Germany go into the tournament as favourites with nearly all of the major layers. The current World Cup holders have been the standout team of recent years, but with that being said, they have had a couple of slip ups in what looks on paper, an easy qualification group. However, with a nucleus derived from the impressive Bayern Munich team, and a winning mentality, they are sure to be a formidable force. Our resident expert has given his views on where he thinks the value lies before the draw takes place on December 12th. Hosts France have the benefit of not having to go through the rigours of the qualification process. For a country with so much talent, they have often been accused of underachieving. It is worth remembering though that the last time a major tournament was held in the country, the hosts won the 1998 World Cup in style. Under manager Didier Deschamps, they have developed an exciting and vibrant style of football, with players such as Paul Pogba and Antoine Greizmann adding a touch of class. Second favourite, and they have to be respected. It is slightly surprising to see Spain as the third favourites for Euro 2016, given their pedigree in the big tournaments in recent years. Furthermore, the strength in depth of their squad, especially in midfield, is unrivalled in Europe. Players such as Iniesta, Fabregas, Silva and Busquets would stroll into any team around the world. They know how to win, have plenty of class and look to be the value in the tournament. It says something about the progress that Belgium have made in recent years that they are more strongly fancied by most bookmakers than England and Italy. Eden Hazard is their main man, a genius playmaker who can change the game in a second. England could also be a changed outfit under Roy Hodgson. The 2014 was a transition tournament for the Three Lions, with young blood replacing the old guard, and Hodgson’s new team have looked sharp in qualifying. We will of course, have a steady supply of tips coming in both before and during the tournament, and after a successful World 2014 tipping campaign, we’re sure to offer our followers plenty of value on some top tips, just like our qualifying tips such as Croatia, Northern Ireland and Wales to qualify. 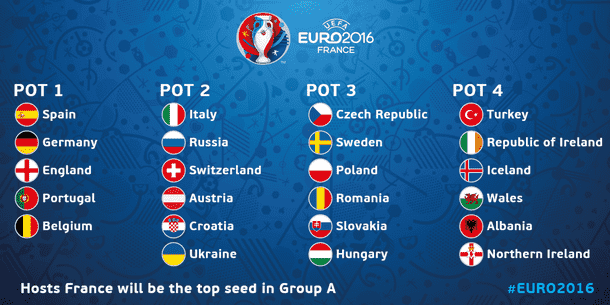 Euro 2016 really will be a mouth-watering month of top class football. Bookmakers offer bets on such a variety of markets and provide such generous offers, giving bettors a great chance to profit while enjoying the games.